The E4-PK Poker Chip Hot Stamping Machine is a professional machinery solution for the high demand of hot stamped poker chips. 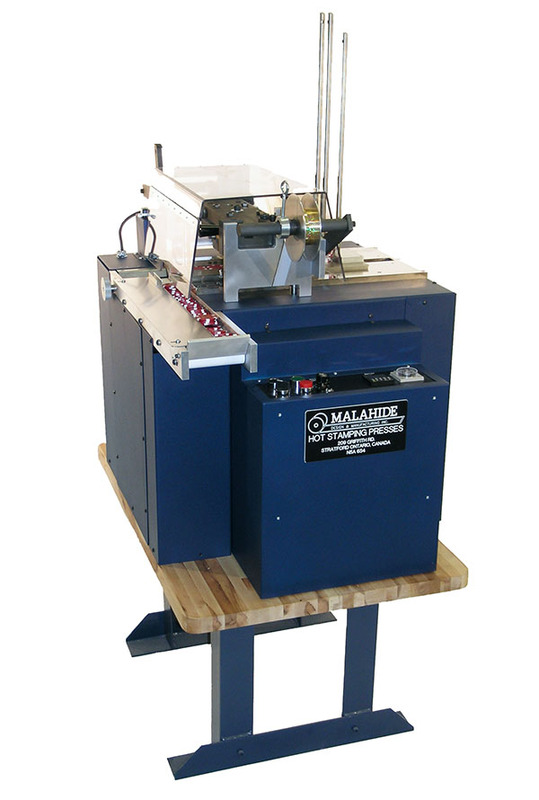 The E4-PK Poker Chip Hot Stamping Machine is capable of hot stamping precisely, accurately and consistently at speeds of up to 3,600 poker chips per hour which is the equivalent of 3 – 4 workers equipped with manual-feed stampers. This hot stamping unit works best with ABS steel-slug core poker chips that are 11.5 grams and 40~41 mm in diameter. For more detailed information regarding the printing process and components of the E4-PK, visit our Poker Chip Hot Stamping Machine Resource Page. A variety of foils can be hot stamped with our poker chip hot stamping equipment, including: metallic, pigment, holographic and effects foils. The E4-PK Poker Chip Hot Stamping Machines can also apply custom logos, scratch-off panels, sequential numbers and security holograms. For general information regarding hot stamping, dies, artwork and foils, visit the Hot Stamping Application Page.